Selling more than five million market hogs each year doesn’t come without a fully staffed team on each of The Maschhoffs’ production sites. Finding, training and keeping good employees is a large part of the success story of The Maschhoffs’ fifth-generation business. 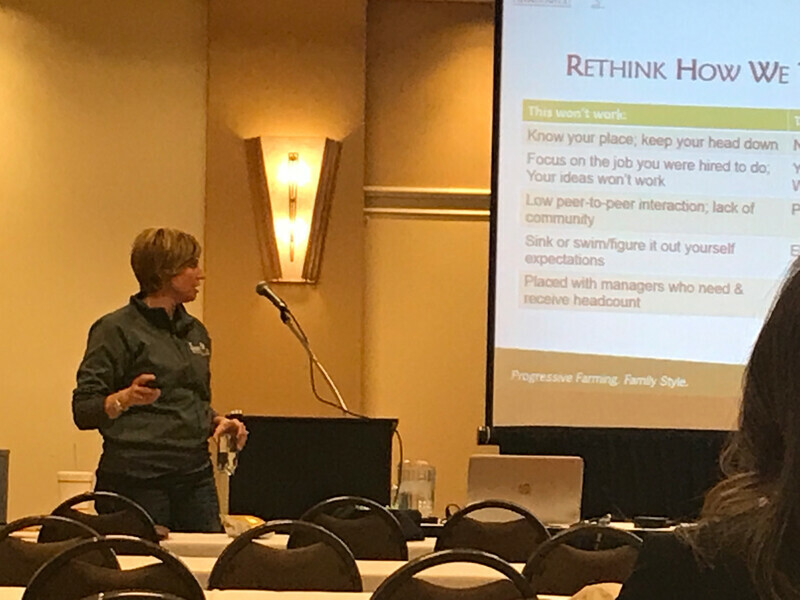 Bringing those strategies for success to the Missouri Pork Expo earlier this year, Erin Wagoner, associate director of human resources for The Maschhoffs, said a few very basic standard operating procedures (SOPs) can make a world of difference to your employees. 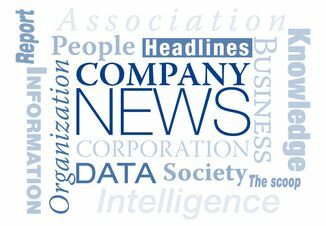 With more than 1,200 employees, and 750 under her direct HR care, creating a smooth and consistent approach to employee management will pay off in the long term, she said. 1. Make orientation a priority. “First things first, when you get new people, it is absolutely paramount that we start them off on the right foot. I call it ‘Day 1 Care for Humans,’” Wagoner said. “We spend all this time getting our piglets off to a good start, but then sometimes we get our people in the door and we’re so busy, we just say, ‘Bob over here will teach you what to do.’"
2. Prepare them for biosecurity and explain why it’s important. Always have clothes ready for them, so there is no question or uncomfortable moments for them, she added. Videos and resources are available from the National Pork Board and the Pork Checkoff that can help explain the procedure in a more comfortable manner. 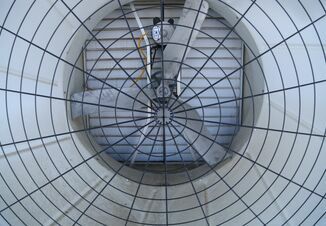 Visit Biosecurity in the Barn and Barn Culture sections to get started. 3. Start employees as individuals, not groups. Wagoner suggests managers start new employees as individuals, not in groups. 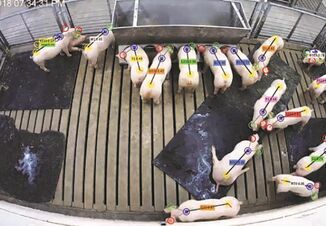 While it might seem redundant to have the biosecurity chat three times with three individuals, it can create a better relationship with each of those employees to have personalized instruction. Start new employees an hour after other employees. As the other employees settle into their work, the managers are able to focus completely on the new person. 4. Talk about your story. “Pig farming isn’t the sexiest job in the world, right? It’s dirty, cold, smelly, hard work. There’s a lot of things to turn somebody off about pig farming, but it’s really noble. And all of our farms have a story to tell of what we do for a living,” she said. For example, one particular Maschhoff farm feeds about 250,000 people every year, so the company capitalizes on that fact. “We talk about the industry as a whole. We try and dispel as many rumors as we can about enclosed pig farming and why we don't allow people and cameras and all those things into our farms. And we teach people about the big picture, the big story about what they're doing,” Wagoner said. Employees want a sense of purpose, otherwise it’s difficult to connect with their work and their company. Working with a sense of purpose boosts employee motivation, productivity, morale and overall job satisfaction. “Always share the purpose,” she added. “Being in my role, I've done the same things for so many years. Now that I have a team of seven, they come to me with very different ideas from what we've always done. And you know, even as a person who teaches this stuff, I have to stop and remind myself: Just because we always did it this way doesn't mean that their way isn't better,” she said. People want to feel united, like they're part of a work family and have friends at work that they can bond with, Wagoner added. “And we want them to continue to feel engaged,” she said. Having flexible scheduling options, being considerate of people’s home life and putting people first, are important to the long-term culture of your business.